Yesterday we kayaked at Elkhorn Slo ugh. The wind slowly strengthened behind us, and my mind began to freak out. Having to stop every few minutes to rest became proof that I am weak, that my arms cannot take the strain. 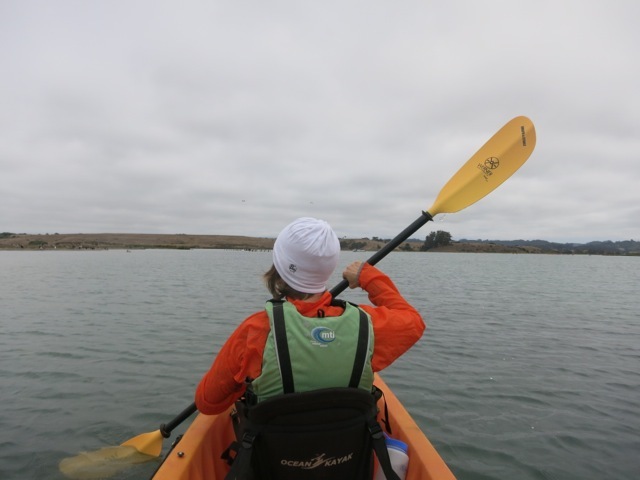 Instead of enjoying the beauty of the day and the harbor seals, otters, pelicans and cormorants around me, I obsessed about whether my strength was about to fail. Agh! Such an irritating mind! Why can’t you stop? Let me feel my body tell me what it can or cannot do. Let me sense by myself when I’m tired, when is the right time for me to return. I don’t want your limits, your over- protection. I want to adventure, to fly free, to explore. Turns out I could do one hundred and twenty strokes. Then, after a short rest, one hundred and forty more. The pier grew closer, then loomed to our right. We had reached our mid-destination, and now it was time to return. Paddling for a while, then resting for a moment, I kept going till we’d reached the dock. My arms were tired, but it was a good tiredness, the kind that comes from giving my muscles a chance to work. I learned the trick of setting a goal and promising my mind that’s only as far as I’ll go from Joe Simpson. (If you’ve never heard Joe’s story, I recommend his amazing book, Touching the Void). With a broken leg, no water, food, or shelter, Joe managed to rescue himself from a crevasse and crawl all the way back across a glacier and the moraines below — five miles or more — back to camp. And he did it by setting himself small, reachable goals. I don’t always remember this method for quieting the voices in my head, but when I do, I remind myself not to run three miles but only to the rock ten feet away. I paddle only one hundred strokes. When I climb, I only go one more handhold up. That’s all. I only do what I know I can do, what’s before me right now. And somehow, what Nate, my rock climbing guide, always says comes true: Keep coming up and holds will appear. And they do. I have a confession to make: when I was eighteen and had my first real boyfriend, I was obsessed with having a flat stomach. I am 5’2” and weighed at the time 48 kilograms, which is equivalent to 108 pounds. I was not even close to being fat, but, I had a rounded stomach. Oh, how I hated that stomach! Every night I did one hundred sit ups, full ones, with my feet under the bed frame. I am sure my posture must have improved, but there was no change in the roundness of my stomach. As a lifelong member of the Society of Wimps and Geeks, I never liked exercise. In elementary school I used to hide under my desk in a pathetic and (as you probably guessed) unsuccessful attempt to skip PE class. As an adult, I discovered a better way to embrace the necessity to exercise (at least in order to leave my stomach round rather than rounder). I told myself that exercise allows me to eat whatever I want. In went the chocolates, the cakes, ravioli, gnocchi, and pizza, and though I never got much bigger than, say, 122 pounds, my tummy never got flatter. Then came the big revelation. 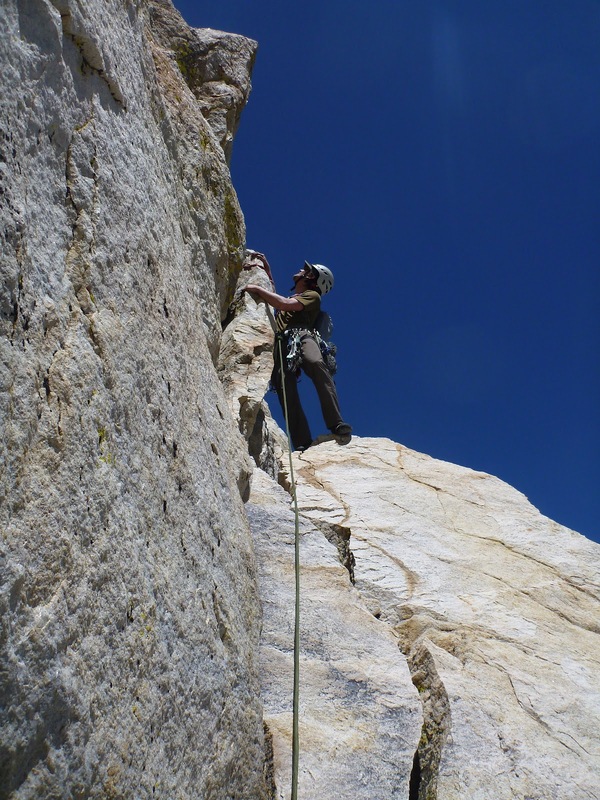 Rock climbers belong to the Society of Wimps and Geeks! Not as Wimps, of course. They qualify for their innate Geekiness. Longing for a break in my fortunes as well as for some adventure (about which I had so far only read in books), I applied to enter that holly order and was accepted, though retaining my Wimpishness. And my round stomach. Having joined the holly order of climbers, I suddenly had a new exercising goal. Now I wanted stamina, leg power, and upper body strength, though you may be sure I still cared how far my stomach flopped over the climbing harness. Exercising changed its name to training. I was training to climb. 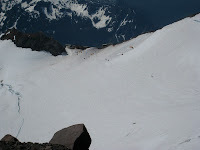 And climb I did: Rainier, Shasta, Olympus, and some rock climbing routes that I would never have imagined myself on or near. But underneath it all, and certainly beneath the harness, I still worried (in present tense too) about the flatness of my stomach. 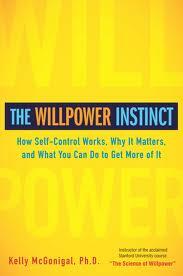 Setting the goal to be healthy and strong, says Kelly McGonigal in her book The Will Power Instinct, is a much better and more pertinent motivator than using food as a reward. Say, for example, when my favorite chocolate and nuts bar calls to me with its sweet promise, I can remember my goal of being healthy and strong and decide whether that bar, tempting though it is, would support my goal (answer: no, and no buts). I want to be healthy and strong. I want to exercise because it supports my goals, and I want to accept and love my stomach no matter how round. And every once in a while I want to eat that chocolate bar, because, to tell the truth, it too supports one of my goals: the one about living life to the fullest and having fun! “I want to be strong,” I told my trainer, and he took me seriously, challenging my resolve with workouts that had me, after about a year, doing push-ups, sit-ups, and pull-ups easily. From the girl who hid under her desk to avoid P.E. and who could not hang from the ladder for more than ten seconds without all her muscles trembling, I became, to my surprise, an athlete. I discovered that I had a lot more stamina and determination than I thought possible. Physical strength gave me confidence. 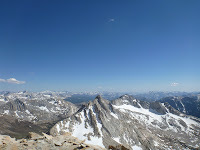 I found myself at the top of mountains which I never would have thought to see: Mount Shasta, Mount Rainier, Mount Olympus, the Yosemite Matterhorn, Cathedral Rock and more. I embarked on solo backpacking trips. One day I hiked for twenty five miles and over five thousand feet in elevation to get to the waterfall in Henry Coe State Park. On Mount Olympus I spent four nights and five days backpacking and climbing with a group that included seven other guys and me. 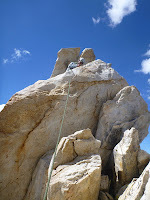 I went rock climbing all over Yosemite, venturing even to Tahoe and Mt. Whitney with a guide. I love feeling strong, physically able, hiking for miles, existing in the peace that envelops me when I climb. I love the strong, capable me, the doer, the one who is always on the go, go, go! The one who is adventurous and active. I don’t take vacations sunning myself on the beach, and even in the Bahamas or Hawaii, I fly from one side of the island to the other, hiking, jogging, kayaking, exploring. I’m not very good at resting or taking it easy. When my Inner Lounging Goddess raises her head and tries to remind me that it might be good to sit down, lie down, or get a massage, other parts of me stifle her gentle suggestion. Rest? Whatever for? I have to go, go, go! I haven’t done anything yet! I still want to write and paint and organize and do. There is no time for rest. And anyways, don’t I rest all the time? It’s not like I do any work! That, I think, might very well be the root of the problem. I am forever proving to myself that though I do not work in an office, I still work. And whether I’m writing or spending time with the kids, it is never enough, never legitimately work. If I rest, if I miss a day of writing, if the kids are not there, the parts of me who need the action are appalled. Resting is just not done in my world. I suspect that if I listened to my Inner Lounging Goddess more, the end result might be more energy and output, more productivity and creativity. I ask myself, what if I started taking time to lounge every day, take long baths, enjoy my breakfast while reading? What if I walked slower, took deeper breaths, looked around me, and closed my eyes more? What a wonderful world this could be, would it not? Last night I got to thinking about my blog from yesterday and its earthquake-writing metaphor. As a little human speck, the earth’s origins — the wrinkling of its crust, the mighty glaciers, the erupting lava and the ice age — seem to me huge forces of nature. Yet I lack perspective, for in a cosmic point of view, these throes of creation were but a feathery tickle, the smallest wave breaking into foam in the midst of a never-ending sea. tattoo on the topmost layer of our earth. Trees weave in the wind, suffusing our atmosphere with the gases we breathe, and every living organism is engaged in the game of evolution, ever-changing, ever-adapting to the conditions of life. 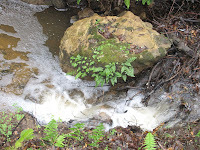 To an ant, a raging river is a mighty force, but so it can be to me if there is no bridge on which to cross. Climbing the Matterhorn, I sat on rocks that had been piled on it as though by giants, a precarious perch which had stood stable for thousands of years. When climbers climb the Nose on the famous El Capitan in Yosemite, they ascend via a granite formation called the Texas Flake that hangs halfway up the monolith and is slowly detaching from the main rock face. 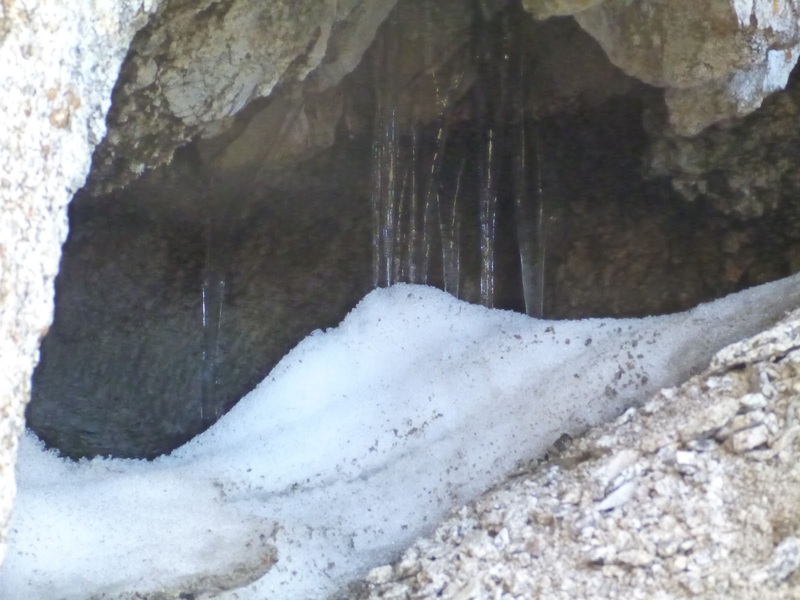 But climbers go up the Texas Flake daily, trusting that in geological terms it will not fall just yet. I would like to be an instrument of change in the world, but my wishes are interlaced with much fear. Which is the more effective way: the gentle trickling of water or the noisy, jarring repercussions of a big earthquake, and are they really as different as I think? With the limitations of human time, would a gentle change register? and in a brutal, irreversible revolution, would I not find the cost, the casualties too great? The lens of fear is hard to remove: what if no one reads what I write because it’s too mild? what if no one reads what I write because it’s too blunt? what if I get hate mail? what if I lose my privacy? What if my writing ends up hurting my family? And I know that none of these questions makes sense. They are phantom fears. In rock climbing, looking up or down strengthens my fears. Best to keep moving up, one hand and foot at a time, and the holds appear, like magic, in the face of the rock. When writing, I write one word at a time till a sentence comes, a paragraph is born, a page, and a world of characters and action, till I can say, like God in the creation of the world, It is good. It is enough. And then I will send my novel on the water, like Miriam sent Moses in his crib of bamboo on the River Nile, to let it find its own fate, pave its own way, and wreak its own path of change. That is enough. My hands gripped the rock. My right climbing shoe barely rested on the hold while my left struggled to find some purchase. To my right, I could see a spot for my hand, but when I tried to reach it, the strain was too much. I withdrew my hand back, my feet pushing against the rock in an attempt to relieve some of the weight of my body from my hands. “You have to move over the arete. Hang off the hold with your hands. Put your foot on the hold on the right. There’s a hold for your hand. Move your weight to the right.” Cliff showered me with directions from above. I concentrated on the rock before me, moved my right leg and foot back to the holds, and, spread-eagled, pushed off with my left foot, and suddenly I was there, on the other side, safe and sound, both my legs stable. “Did you see me?” I screamed. “I totally did it. Did you see me? Did you see?” I scrambled up the remaining rock to Cliff’s anchor. Now was the time for the climb to yield some of its difficulty, become easier, more enjoyable. But no. The Matterhorn was not done with us yet. We continued up a chimney, a corner, up sheer faces, over rocks that seemed placed there especially in order to block our way, until finally, I just knew: one more pitch and we’re there. The summit plateau. 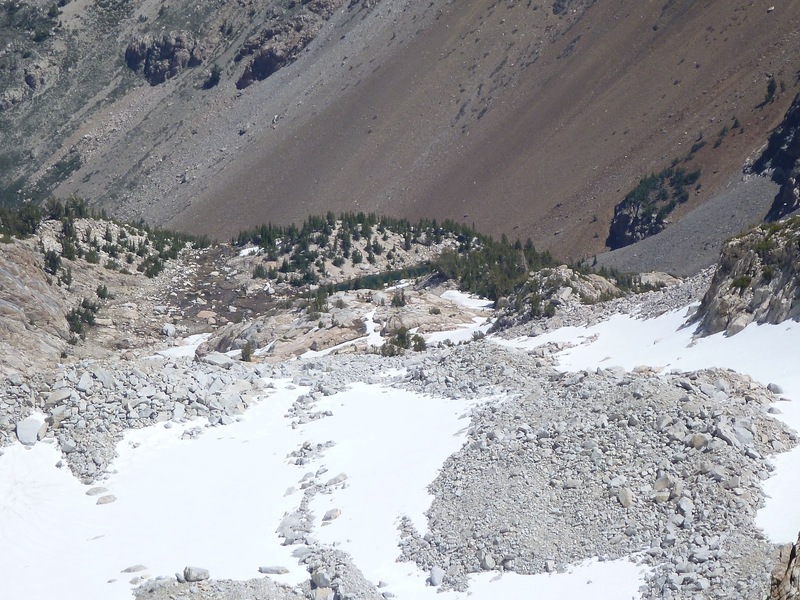 The summit plateau looked like a badly-built dry wall of single-placed mismatched boulders. Cliff waited behind as I slid down one boulder into a hole created by rocks on the other side. Then he, watching his step, joined me. We repeated this pattern, moving one after the other, tied with the rope, till finally, above us, we could see the summit. We had finished most of our water. It had taken us three hours to get to the base of the climb and nearly six to climb the mountain. 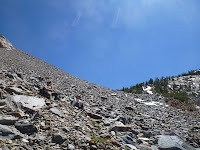 The time was 4pm, Dar was expecting us back at 5, and we still had the fearsome descent to face: the nearly vertical scree leading down to the base of the Matterhorn and the steep glacier. 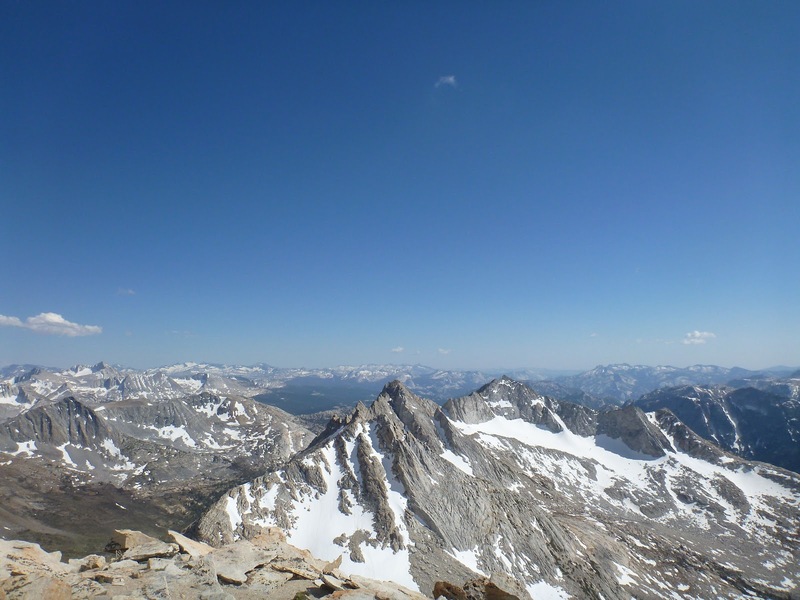 We sat down below the summit and finally had our lunch while trying to identify our favorite Yosemite landmarks: the Unicorn, Cathedral Peak, Mount Conness, Hetch Hetchy, maybe even Clouds Rest in the distance. At last, back in hiking shoes, we headed down the slope. “Slowly and carefully,” I reminded myself. Cliff is experienced and safe. I was in good hands. Later, as the sun set behind the mountains, painting them red, Dar and I sat on the rocks by Tarn Lake. Mosquitos buzzed everywhere around us, and Dar leaned toward me and gave me a kiss. “Happy year-and-a-half winkaversary, honey,” he said. I had made it. I had climbed the Matterhorn and came back alive, just in time to celebrate the eighteen-months anniversary of sending that wink on match.com to the man I love. Now that I’m here, my story falls apart, the words jumbled in my mind like the fragile piling of rocks that is the Matterhorn. “Rock!” I want to cry as my stumbling hands pull out yet another detail from my memory and drop it. I watch it fall down, all the way to the far-off ground, and I know there is no one there to warn. No one else is climbing the mountain today. We’re alone, Cliff and I, tied together in his green rope. After the first pitch there was no way to go but up. Retreating required leaving gear, and anyways, we were both of us expecting the climbing to get easy any moment now. Cliff kept the pitches short, wanting to stay within calling-out distance from me. I sat on one ledge and then another. Belaying him and avoiding mouse droppings as much as I could, I tried to attribute the tremblings in my body to the coolness in the shade. On one pitch, as he climbed, Cliff told me: “You won’t be climbing the way I did.” He had raised his long, 6-foot-frame legs to the left of a crack way above his head, stretched for a hold and pulled himself up. “Ok,” I shivered below, keeping my mind on the belay, refusing to think about what I’ll do when it’s my turn next. 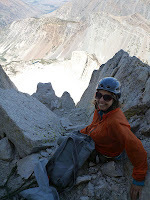 All too soon, Cliff called, “Sigal, you’re on belay,” and it was me who had to struggle with the slippery face of the rock, me who had to scramble up the overhang, and then, in shock, me crying on the ledge above as Cliff tied me in to the anchor. And then, “Sigal, you’re on belay.” Cliff’s voice came from directly above me, so close I could swear he was just behind the sheer rock that climbed up over my perch. “I won’t lie to you,” Cliff continued, “it’s really exposed. But after the first move it gets easier.” I peeked behind the arete where the rope stretched, tight, waiting for me. “You’ve got to be kidding me,” I muttered. There was nowhere to go. The rock dropped down behind the arete in a straight line all the way to the ground. I was sitting on a thin sliver of a boulder on the razor-sharp nose of the arete, and Cliff expected me to leave even that farfetched feeling of safety behind, to hang off of my hands over nothing, stretch my right leg somehow to reach a hold too far for my short body, promising no hold for my left. I swallowed, ignoring his shouted directions. I sent a prayer that the anchor is safe, and without thinking, for thinking in this case would have been too much even for my over-active brain, I swung myself across the abyss and stretched out, as far as it would go, my right leg. Evening in the High Sierra. After a surprisingly delicious dinner of gluten-free pasta, smoked salmon and steamed green beans, Dar and I lay on a boulder by the lake and watched the sun paint the Matterhorn in pink hues. “Cliff will be disappointed if I don’t climb,” I said, tracing in my mind the line of the north arete on the Matterhorn, certain that I will never set foot up there. My head hurt with the heat of the day, not enough water, and the effect of the elevation. I took two advil and got into my sleeping bag, falling into a restless sleep from which I awoke frequently. 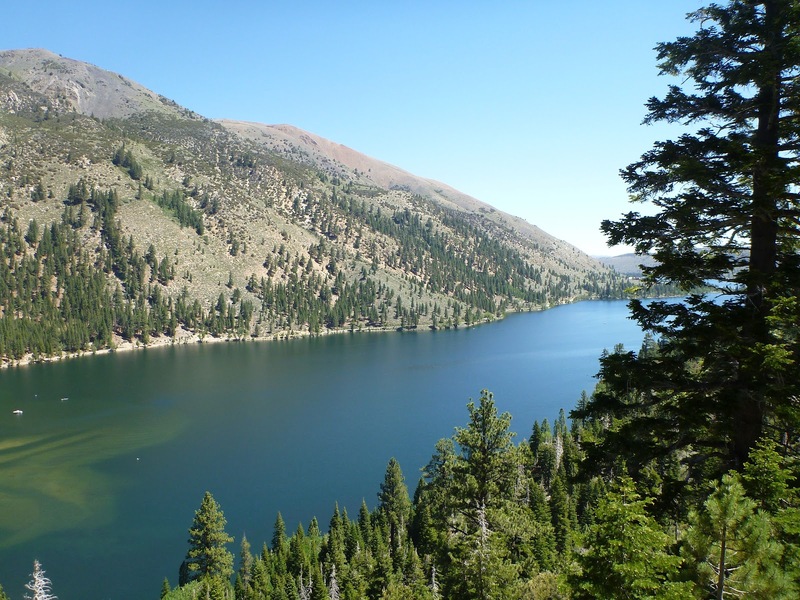 The wind howled, shaking our tent and the trees outside as though trying to uproot and carry us back down to the Twin Lakes valley. All through the night, whenever I awoke, I could feel the soreness and exhaustion of my body and my mind, and I knew with certainty that I would not be climbing. The morning dawned bright and sunny. Cliff woke us with a steaming cup of green tea and crackers and hummus for breakfast. I stretched, checking my body for signs of fatigue, but my tiredness had flown away with the night’s wind. My headache gone, I realized I wanted my adventure. The Matterhorn had been my dream for over three years, and here it stood, at my tent’s doorstep, beckoning. “I might only walk as far as the beginning of the climb and decide to walk back,” I warned Cliff. The lake reflected back to me the faces of the mountains as we set out. Watching us from the lake, Dar grew smaller as we hiked farther up the steep uphill. There was no trail, just the rocks and the trees and the ridge top, and the two of us making our way through. I could feel no trace of the previous day’s exhaustion. I was strong and fit and ready for anything. At the bottom of the glacier we strapped on our crampons and headed out. 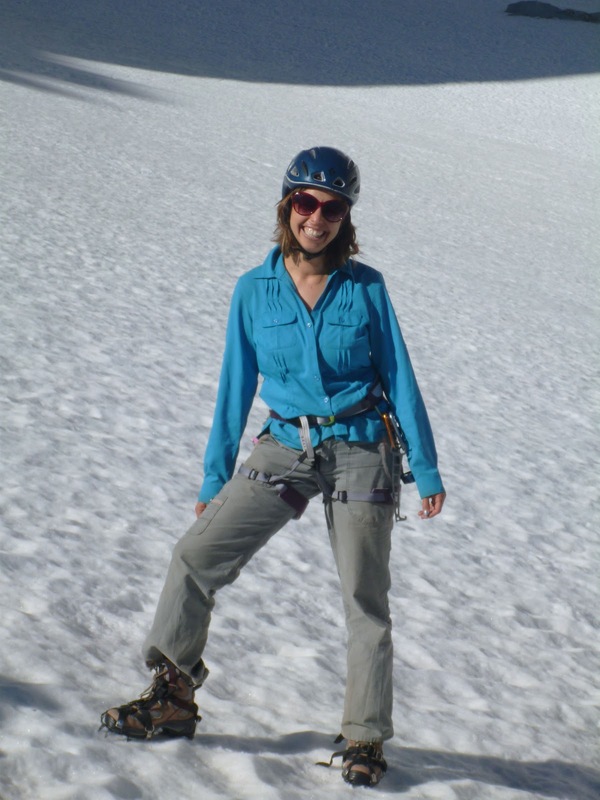 I loved every minute of it, the feeling of the snow crunching under my feet, the glow of it around me. Up and up and up we walked, making a staircase in the snow, till we reached the bottom of the Matterhorn and another slippery scree slope. 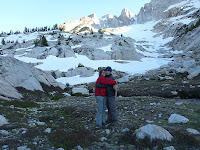 There, we took off our crampons and hiked farther up, gaining more elevation, heading toward the beginning of the climb. I looked back, searching for Tarn Lake, and wondered how we would ever get down. 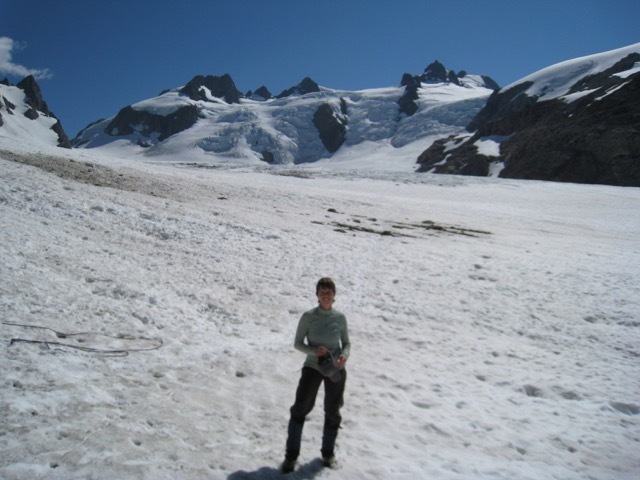 The glacier and the scree seemed so steep, the ridge so far. Tarn lake had disappeared as though it had never existed, and my heart quacked at the thought of all that ground. 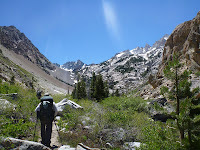 High Sierra Climbing described the route as “not too difficult,” and rated the climb well within my abilities. I turned my attention up instead of down, tied on my climbing shoes, double-backed my harness, put Cliff on belay, and got ready for a few hours of fun. I couldn’t have been more wrong about that. Up, up and up we walked, single file, Cliff leading, Dar following, and I struggling in the back. High Sierra Climbing describes the approach to the Matterhorn: “This is a HUGE approach that starts out pleasant and gradually gets steeper, more difficult, and less fun.” Cliff estimated that we would take five hours to hike the five miles to Tarn Lake. I felt comforted by this number. To me, it meant we were going to walk slowly. 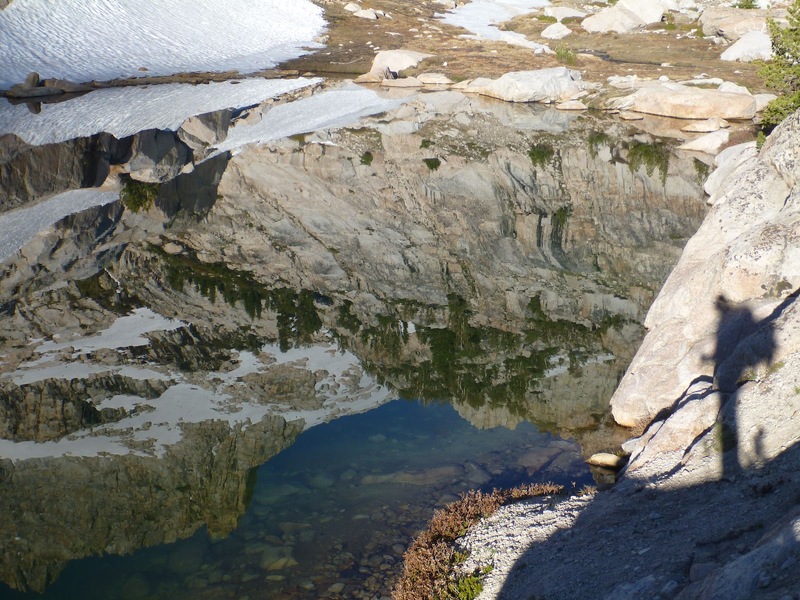 To Cliff, it was a reflection of the steep and strenuous trail. The path climbed steadily uphill, switchbacking by a creek that stampeded down a series of waterfalls. So symbolic, I thought as I fought to keep my shoulders back under the pulling weight of the pack: Here I am, once again, walking against the current. After an hour, we had covered a thousand feet in altitude and about two miles distance. I quickly calculated: fifteen hundred feet in altitude and three miles to go. Not too bad, I thought. Everything is going to be okay. But the trail flattened, meandering in a lovely meadow by the creek, seemingly forgetting the “HUGE approach” promised in the book. I relaxed, let my guard down, started to enjoy the walk. We had lunch on some rocks, basking in the sun, listening to the gushing creek. Collecting our packs, we found ourselves before our first real obstacle. The trail faded under a garden of boulders, reappearing to tantalize us only to disappear again below the rocks. 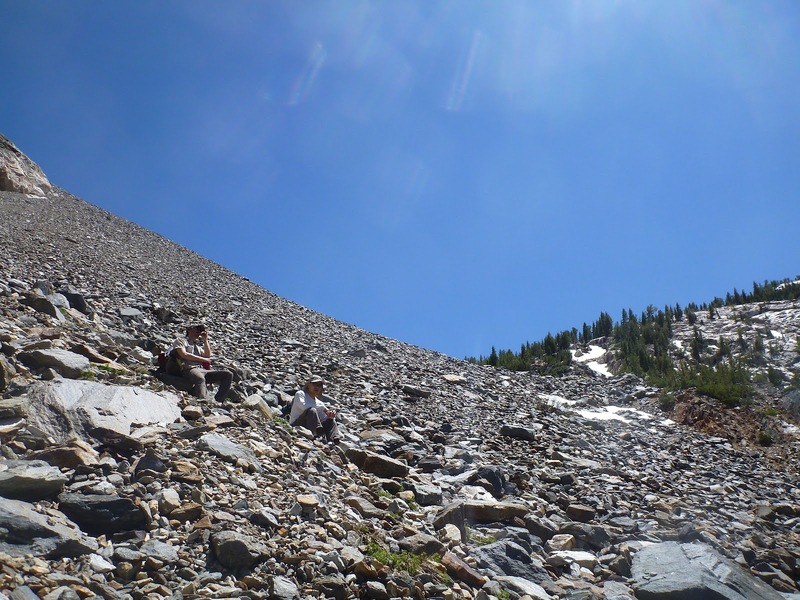 Beyond the boulder field stretched the scree slope, reaching steeply to the sky. Suspended in limbo, no matter how often my legs lifted, my knees bent, or my feet struck the rocks, the scree slope still limited my horizon. My face heated. Dar and Cliff shrank, their tan clothing merging with the scree. The earth concentrated its malevolent gravity on my pack, my feet struggling to keep moving forward in the never-ending rocky landscape. Finally Cliff and Dar stopped against the trees. The end, I breathed out, wrestling with the last few steps to reach them. But no, beyond them the scree stretched upward, relentless, and above that, Cliff said, one more ridge. My brain shut down. I slipped and slid on the rocks and the dirt, barely avoiding the trees. We stopped for a rest. Suddenly, a voice, a head. A Brit hopped up, jauntily swinging his long legs and arms. “Only a few feet, I think!” he announced, and continued his dash up. Cliff smiled indulgently. “People always wonder why climbers have to turn around sixty feet from the summit,” he commented. “Sixty vertical feet are not the same as sixty feet distance.” Feeling wise and realistic, we followed the Brit’s hopeful footsteps. 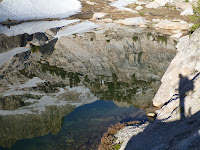 And there, not sixty feet from us, lay Tarn Lake, warming its frigid, glacial waters in the sunny afternoon. It had taken us six hours to get here. I stumbled, exhausted, barely taking in the scenery, as the Matterhorn serenely watched. When I nearly crushed my finger, helping Dar set up the tent, he asked me to please sit aside. I looked at the snow and stones, the steep terrain leading up to the mountain, and in my head only one thought ran in circle: there’s no way I’m going to do this climb tomorrow. No way at all. I love sleeping on the ground, listening to the night noises, and imagining the stars overhead even when they are obscured by tree canopies, clouds, or my own myopia. My sleeping bag feels softer and warmer than any down comforter, and my make-shift pillow, made of clothes stuffed into a bag, gives me immense satisfaction. Whenever I sleep in motels or hotels, I dislike how closed and airless the room is and the negative energy from all the electrical appliances that cannot be turned off. I long for the open air, for the feeling of the ground under me, for the sound of the wind in the trees overhead. 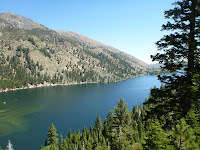 On Monday, we arrived at Mono Resort near Twin Lakes at 9pm, and I was appalled at the number of RVs parked side by side in long neat rows that filled up the campground. We drove after Cliff’s car, searching for a campsite as far away from these large metal monsters as we could, surprised to see some that featured fences, directv antennas and potted plants. 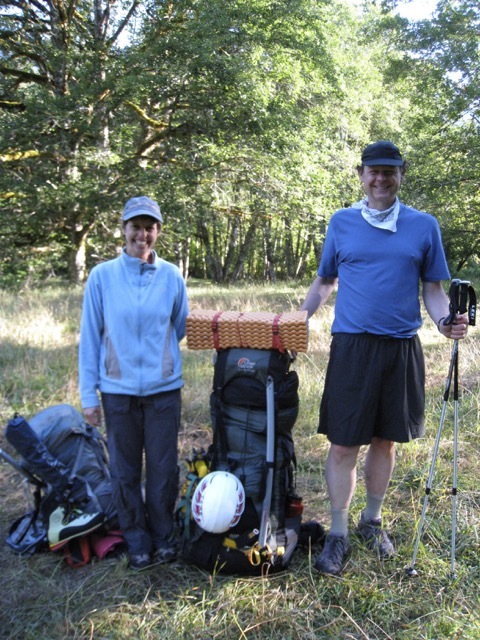 Cliff pulled into an open campsite with two picnic tables, and we set up our tent on a flat stretch of dirt. 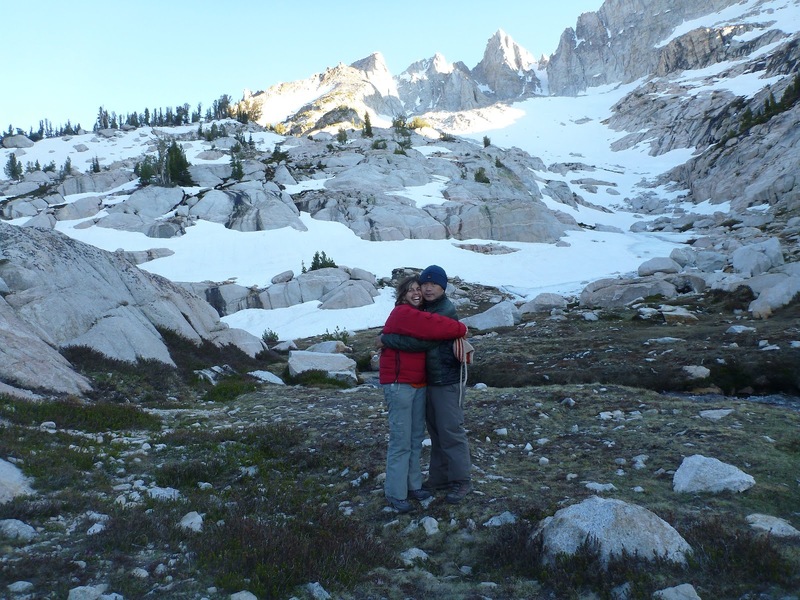 When we turned around to look for bear lockers in which to protect our food, we were in for a surprise. There were none. 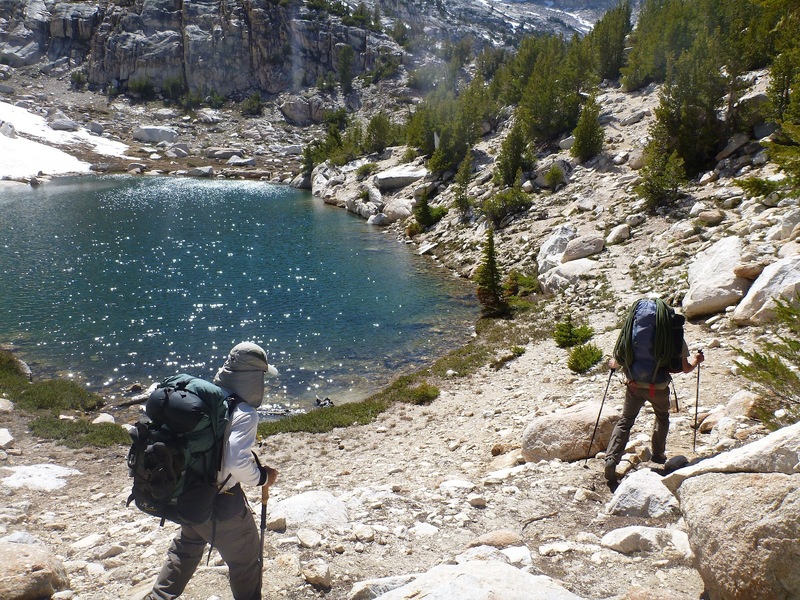 Within the borders of Yosemite, visitors are warned to be ultra-careful with their food, to pack it inside bear canisters (the approved method for carrying food in the wilderness) or bear-proof lockers, and to leave none in their cars. But perhaps at Mono Resort, though just a few miles outside the borders of Yosemite, the bears did not present a problem. As we put as much food as we could inside our bear canisters and placed them as far away from ourselves as we could, I wondered, what are a few miles for a bear? Do bears care for park boundaries, or do Yosemite-Valley bears ever hop over to Mono Resort to get a midnight snack from these unprotected stacks of food before returning to the valley? Cliff slept near the picnic table — his tactic for protecting against bears. He told us he had an entirely different strategy for mountain lions. He kept Dar’s bear spray nearby and said he would bang on a pot if bears came by. The night passed without incident, but in the morning we heard about two climbers whose climb of The Incredible Hulk, was cut short because bears broke into their food. They had no bear canisters. At 10am, the bear canisters at the bottom of our packs, we started plodding uphill, toward the Matterhorn. Twin Lakes stretched below us, boats dotting the emerald water, sunlight blinking on the gentle waves. The bear spray lay forgotten in the car. Bears were the least of my worries. My back ached under the heavy pack, and all I could think of was what the next three days will bring and whether I would make it back all right.